David A. Feldheim, Of Counsel in the Firm’s Corporate & Business Services Group, has extensive experience in corporation, franchise and contract matters. 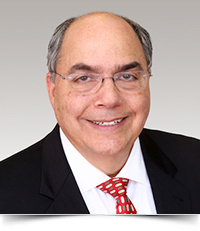 Providing legal assistance to his business clients over the past four decades has enabled Mr. Feldheim to acquire a depth of knowledge in numerous areas of commercial law, including extensive experience in the technology, petroleum, and real estate industries. Mr. Feldheim is credited with utilizing his communication skills, experience in drafting and negotiating agreements and broad knowledge of business matters to enable his clients to capitalize on all business opportunities. Mr. Feldheim frequently assists new and established businesses, large and small enterprises, old and new technology companies, and clients with and without inside counsel. He assists corporations, partnerships, franchise operators, entrepreneurs, and professionals, as well as physicians, attorneys, and accountants. Prior to joining Reger Rizzo & Darnall, Mr. Feldheim opened and operated his own firm for almost 20 years, where he focused on the practice of corporation and business law. He is well versed in contractual “Best Practices”, and is a frequent lecturer on this and other related topics. After his graduation from New York University School of Law, Mr. Feldheim served as the Judicial Law Clerk to the Honorable David E. Groshens, President Judge of Montgomery County, PA. After completing his Clerkship, Mr. Feldheim joined the Sunoco, Inc. law department. During his tenure with Sunoco, Mr. Feldheim served as Chief Counsel to two subsidiary corporations, SunGard for six years and Sun Transport for seven years. He also held the positions of Chief Counsel for Commercial Transactions and Chief Counsel for Antitrust. He had first chair responsibility for numerous acquisitions and divestments, outsourcing arrangements and a broad spectrum of contractual negotiations. Mr. Feldheim has served as Chairman of the Antitrust Committee of the Philadelphia Bar Association, Vice Chair of the Corporate Counseling Committee of Antitrust Law Section of the American Bar Association, and Vice Chair of the Suburban General Healthcare System in Norristown, PA. Currently, he is serving his fourteenth year as Chair of the Montgomery Bar Association Committee on Business, Banking and Corporate Counseling. He has served as Secretary and Board Member of the Montgomery Bar Foundation and he has also been an active member of the Franchise Committee. Author, Contracts, Agreements and Pacts, Oh My! Client Alert.